Dimensions: ø1,3x13,5 cm | Case: 18,5x7,5x3,1 cm. 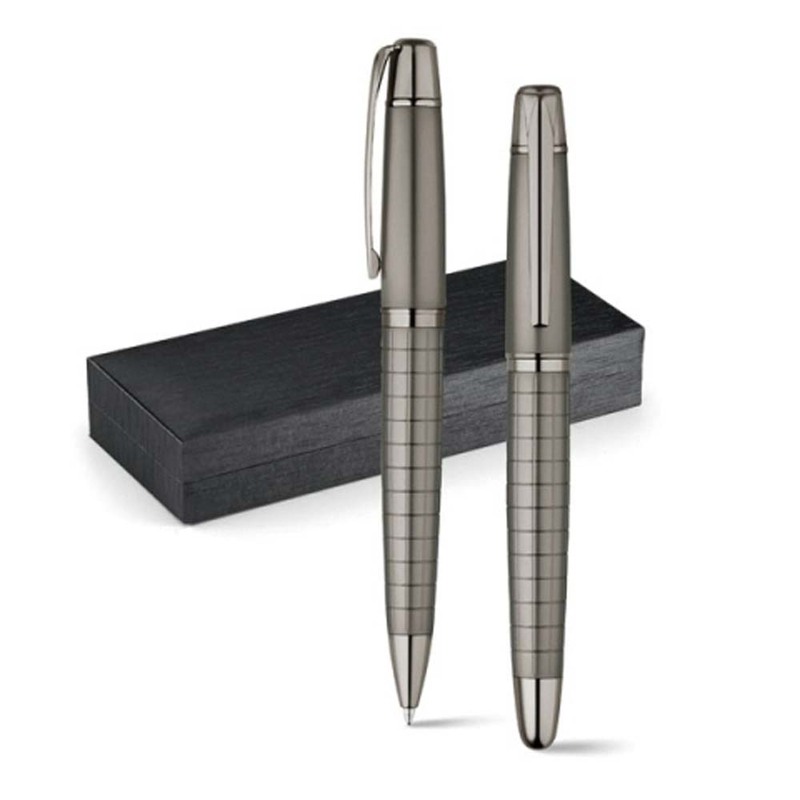 Metal roller pen and ballpen set. Supplied in a gift case. This is a printable version of this item.